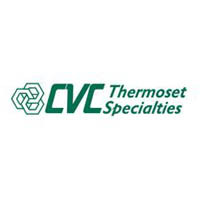 CVC Thermoset Specialties is the creation of Emerald Performance Materials with the combination of Hypro Reactive Liquid Polymers and the specialty epoxy materials from CVC Specialty Chemicals, INC. The two groups come together to offer specialty thermoset epoxy resins, diluents, modifiers, polymers, catalysts and accelerators. Erisys functional reactive modifiers for enhanced performance like reduce viscosity, improved handling, flexibility,toughness,and chemical resistance. Hypro RLP are low molecular weight rubber with chemical functionality. They consist of the following functionalities: CTBN, ATBN, ETBN, VTBN and HTB. This line enhances crack resistance, fracture toughness and impact resistance to name a few. HyPox are elastomer modified epoxies for enhance fracture toughness, low temperature properties and flexibility. Omicure products are DICY and substituted ureas for use in 1K heat cured epoxies.